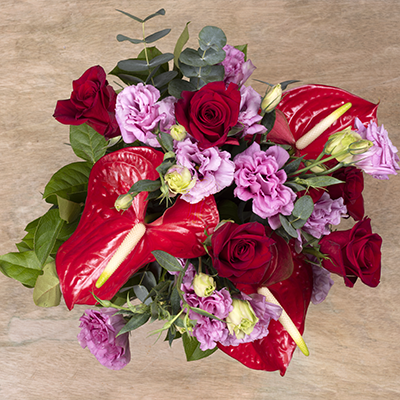 Share a bouquet of red roses and pink lisianthus with your partner just in time for February 14 and surprise her with this exquisite combination finished with a flourish of anthurium. 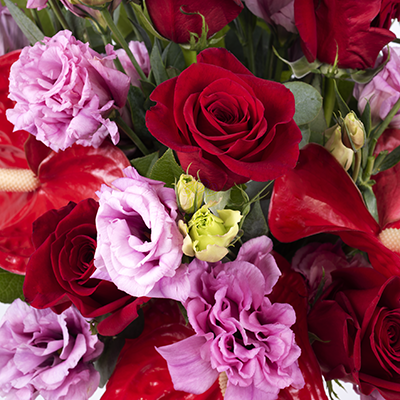 Give a bouquet that is as fresh, fun and authentic as true love itself. 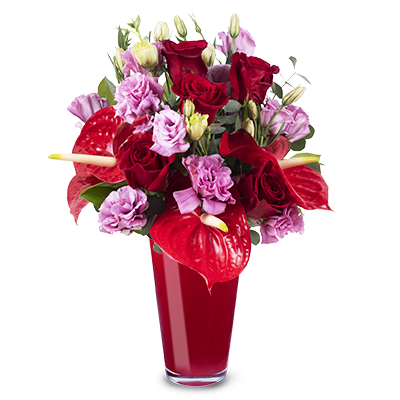 Let her know how much you love her with these beautiful flowers!